The history of toothpaste is indeed very old. The earliest toothpaste use was recorded some time in 300 to 500 BC in China and India. It is said that a Chinese man named Huang Ti studied how to take care of teeth and then claimed that tooth aches could be cured by putting gold and silver needles in different parts of the jaw and gum. It is theories like this that ultimately led to the development of toothpaste. The first toothpaste that was known to man was made from crushed bones, egg shells and oyster shells. This abrasive mixture was used to clean particles and debris from teeth. Later on toothpowder was developed using powdered charcoal, powdered bark and flavoring agent to improve the taste. This toothpowder was applied on the teeth using a stick. Toothpowder was used in Britain in the late 18th century and was sold in ceramic pots in form of powder or paste. The elite would use brushes to apply the toothpowder while the poor would use their fingers. Modern-day toothpaste was developed by a dentist called Peabody. He was the first to add soap into toothpaste in 1824. In the 1850s, a person named John Harris started adding chalk into toothpaste. And the first time toothpaste was mass produced was in 1873. It was sold in jars and the smell was pleasant. In 1892, it was Dr. Washington Sheffield who was instrumental in putting toothpaste in collapsible tubes and selling it as Dr Sheffield’s Crème Dentifrice. It was only after World War II that detergents replaced soap in toothpastes after emulsifying agents like sodium lauryl sulphate and sodium ricinoleate were used. Fluoride was added into toothpaste in the 1960s and in the 1980s calcium fluoride was added to make up the fluoride and calcium content of the toothpaste. And, this is the toothpaste that is even available today. What Is Toothpaste Made From? While we use toothpaste everyday and most of us use it twice a day, there are many people who do not know what is toothpaste made from. After all, toothpaste helps to promote health gums, prevent tooth decay and gives us fresher breath and all these benefits make it vital for us to know what is toothpaste made from. Toothpaste is made from many different ingredients and each one has its own special function when it comes to oral hygiene. One of the main and most important ingredients of toothpaste is fluoride, also known as fluorspar. Fluorspar is a combination of calcium and fluorine. Fluoride helps to strengthen and whiten teeth. Other ingredients in toothpaste help to prevent plaque buildup and loosen the already existing plaque present in the mouth. Certain chemical additives ensure that the gums remain healthy and disease free. In addition, humectants are added to ensure that the toothpaste does not dry out and lose its creamy texture. Two of the most common humectants are glycerin and sorbitol. Most toothpastes contain glycerin which ensures that the toothpaste is squeezable as well as moist. 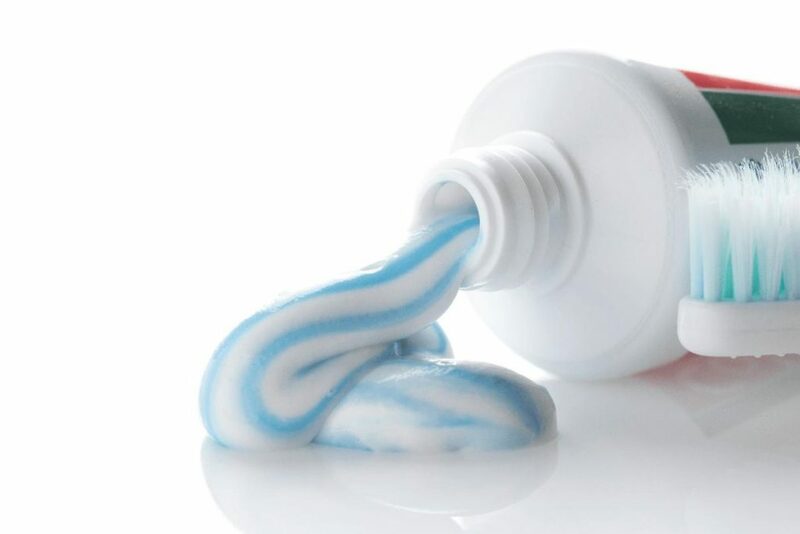 The foaming action of toothpaste occurs due to added detergents. The most common detergent used is sodium lauryl sulphate. The foam ensures that the toothpaste penetrates and deposits on the surface of the teeth get loosened. Binders like silicon dioxide are added to toothpaste in a usable form known as amorphous silica. This also ensures that the toothpaste does not separate into liquid and solid components. Abrasives like alumina trihydrate, dicalcium phosphate calcium carbonate are used to scrub and polish the teeth, and remove plaque formation. Besides fluoride, the other most important ingredient of a toothpaste is sodium bicarbonate, also commonly known as baking soda. This is also a polishing agent and does not negate the effect of fluoride. In addition, sodium bicarbonate helps to neutralize the oral acids and thereby preventing tooth decay.